I was stationed here while waiting for my Top Secret clearance to be approved for my work assignment with the 6901st at Turene Kassern, Zweibreucken, Germany. For some reason which I never knew, the clearance was not approved. (I was later to have a Top Secret Clearance at Headquarters AIR DEFENSE COMMAND). I was given my choice of career fields to go into, and I chose computer operator. I was then reassigned to Chateauroux Air Base, France. 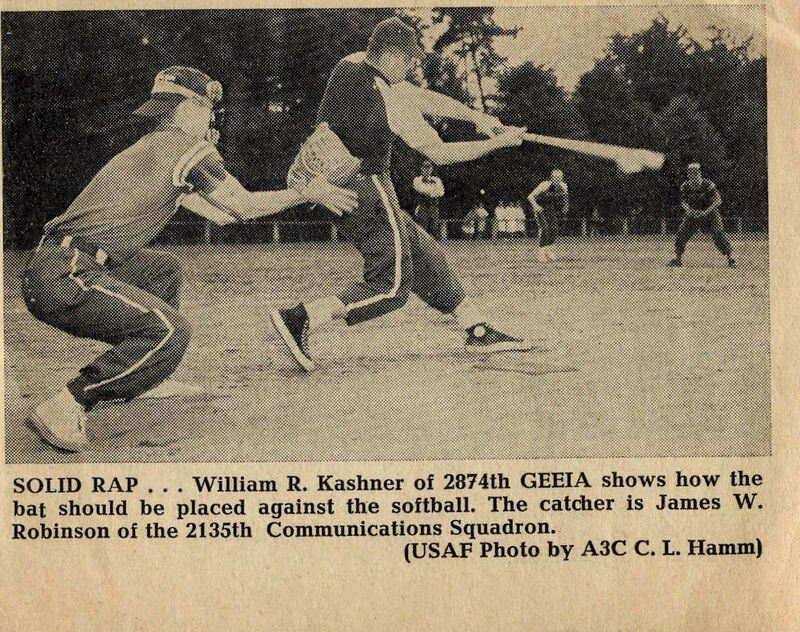 I played Squadron Intramural Softball while assigned to the 2135 Comm Sq, Ramstein.